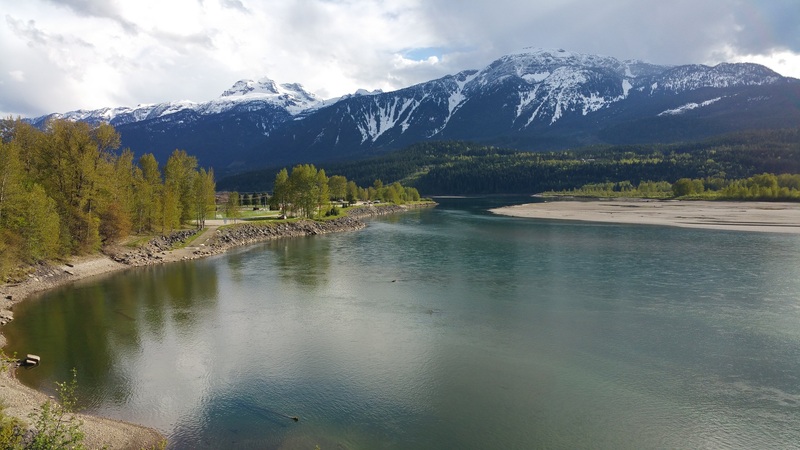 The May 13 “One River – Ethics Matter” conference opened with a welcome and call from Revelstoke’s Mayor, Mark McKee, for all people to work together on behalf of the Columbia River. The day was truly remarkable for bringing together Upper Columbia River Basin’s First Nations, religious leaders, and community leaders and volunteers in respectful dialogue on the past and future of the Columbia River. 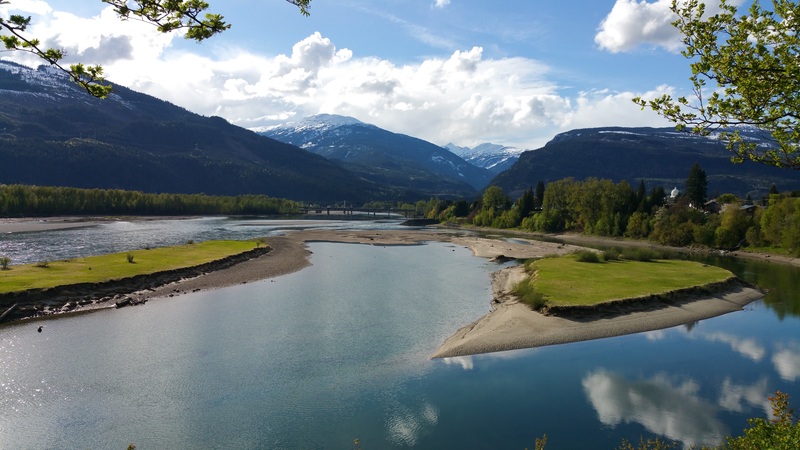 Free-flowing Columbia River, at Revelstoke B.C. – site of the 4th in the series of international conferences, “One River – Ethics Matter.” Prior conferences were held in Spokane, Portland, and Boise. In 2018, the fifth conference will be in Montana. We do this work – returning the salmon and restoring the waters of the Upper Columbia – for our kids. Indigenous people have been here from time immemorial, and we’ll continue to be here forever. Churches and houses of worship are also symbols of community – and destroying or moving churches with the Treaty dams underscored the wrenching impacts on the people of the Upper Columbia. Indigenous language carries meaning that is deeply important. C. public schools have made major advances in environmental education. All of us need more water rituals in our daily lives. We all need to work together for the River and return of salmon. First Nation and tribal leadership included Bonnie Leonard (Secwepemc), Sandra Luke (Ktunaxa), Chief Chad Eneas and Rosalie Wilson-Yazzie (Okanagan Nation Alliance), and D.R. Michel (Sinixt, Upper Columbia United Tribes), along with policy experts Bill Green (Canadian Columbia River Inter-Tribal Fisheries Commission) and Jay Johnson (Okanagan Nation Alliance). Faith leadership included Anglican Archbishop John Privett, Roman Catholic Bishop John Corriveau, and Rev. Greg Powell of the Kootenay Presbytery. Scholars and educators included Jeannette Armstrong (En’owkin Centre, Syilx scholar), Angus Graeme (President, Selkirk College), and Ariel McDowell (Principal of Aboriginal Education, School District 19). This is the fourth in a conference series entitled “One River – Ethics Matter” that examines the moral dimensions of the dam-building era with a focus on First Nations (Canada) and Indian tribes (U.S.), and the river and life that depends on the river. Earlier conferences explored the profound effects of dams from Grand Coulee upstream on tribes and First Nations; how protecting flood plain settlement and development in the Portland area has come at the cost of permanently flooding river valleys and native homelands upstream; and re-licensing of Idaho Power Company’s Hells Canyon Complex of dams to provide passage for salmon now blocked from returning to the upper Snake River. The Revelstoke conference focused on the catastrophic change that came with permanently flooding the immense river valleys of interior British Columbia as part of the Columbia River Treaty ratified in 1964. 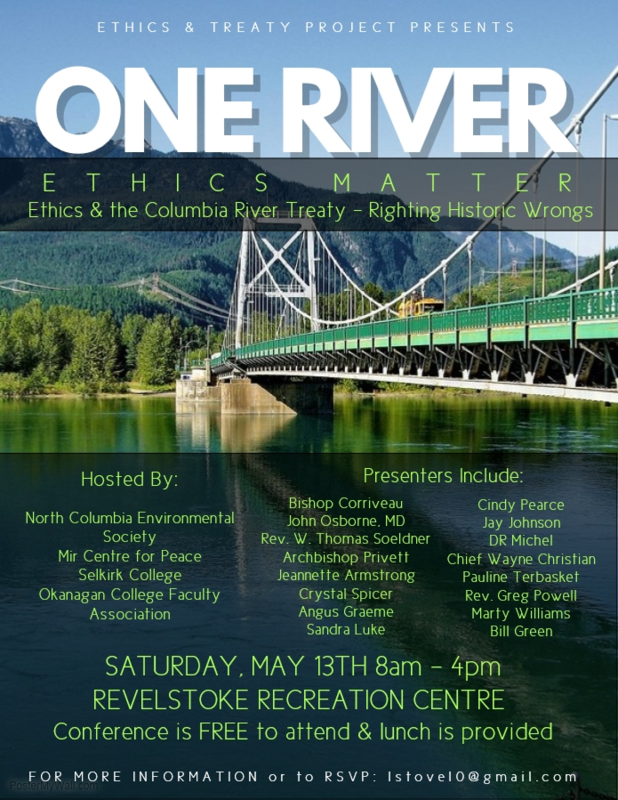 The One River – Ethics Matter conference series is coordinated by the Ethics & Treaty Project. The project is jointly hosted by CELP and Sierra Club. On May 3, the U.S. District Court Judge Salvador Mendoza Jr. issued an injunction against the federal fish hatchery at Leavenworth, WA, after ruling in January that the hatchery was unlawfully discharging pollutants to Icicle Creek and the Wenatchee River. The latest court order provides that the injunctive requirements will terminate if and when the U.S. Environmental Protection Agency (EPA) issues a pollution discharge permit to the hatchery. The federal facility, funded by the U.S. Bureau of Reclamation and operated by the U.S. Fish and Wildlife Service, has been unlawfully discharging without the required permit since 1979. Since 1979, the Hatchery has been operating without a valid pollution permit. Judge Mendoza’s January ruled confirmed the violation of the federal Clean Water Act. The May 3 injunction requires the hatchery to reduce the amount of phosphorus it discharges by September 1, 2019, to the amount necessary for Icicle Creek to meet water quality standards designed to support salmon and other fish. The Court’s injunction leaves open the opportunity for the Hatchery to obtain a new discharge permit, called an “NPDES” permit, from EPA, in which case that permit would set the schedule for the Hatchery to reduce its phosphorus discharges. Either way, the Hatchery will be forced to undertake long-delayed upgrades, including wastewater treatment technology to protect Icicle Creek. 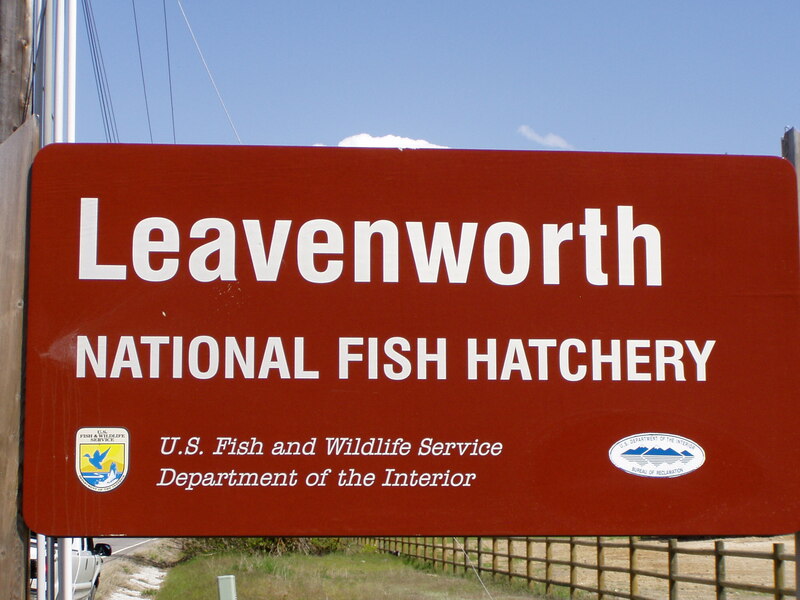 The Leavenworth Hatchery raises 1.2 million fish annually in a confined space, generating pollutants that are released untreated into Icicle Creek. Pollutants include disease-control chemicals, pathogens, nitrogen, phosphorus, antibiotics, chemicals used for disinfection and other fish culture purposes, residual chemical reagents, salts, and chlorinated water. The phosphorus discharge contributes to Icicle Creek and the Wenatchee River failing to meet water quality standards for dissolved oxygen and pH. The Leavenworth Hatchery is part of a controversial process convened by the Washington Department of Ecology and known as the Icicle Work Group. Hatchery improvements are on the list of IWG goals, but are proposed only in exchange for diverting water from the Alpine Lakes Wilderness for municipal supply for the City of Leavenworth. CELP is represented by Kampmeier & Knutsen, PLLC of Portland, OR and Seattle, WA. Religious and First Nation leaders from the Upper Columbia River will lead a one-day conference on ethics, and the past and future of the Columbia River. The conference series is a multi-year undertaking based on the Columbia River Pastoral Letter issued in 2001 by the Roman Catholic Bishops of the international watershed, and tools used by hospital ethics consultation services. The one-day river ethics conference brings together faith, indigenous and education leaders. Faith leadership include Anglican Archbishop John Privett, Roman Catholic Bishop John Corriveau, and Rev. Greg Powell of the Kootenay Presbytery. First Nation and tribal leadership include Chief Wayne Christian (Secwepemc), Sandra Luke and Marty Williams (Ktunaxa), Pauline Terbasket (Okanagan Nation Alliance), and D.R. Michel (Upper Columbia United Tribes) and Stevey Seymour (Sinixt/Arrow Lakes Band). Scholars and educators include Jeannette Armstrong (En’owkin Centre, Syilx scholar), Angus Graeme (President, Selkirk College), and Ariel McDowell (Principal of Aboriginal Education, School District 19). Click to view the full agenda and list of speakers. This is the fourth in a conference series entitled “One River – Ethics Matter” that examines the moral dimensions of the dam-building era with a focus on First Nations (Canada) and Indian tribes (U.S.), and the river and life that depends on the river. 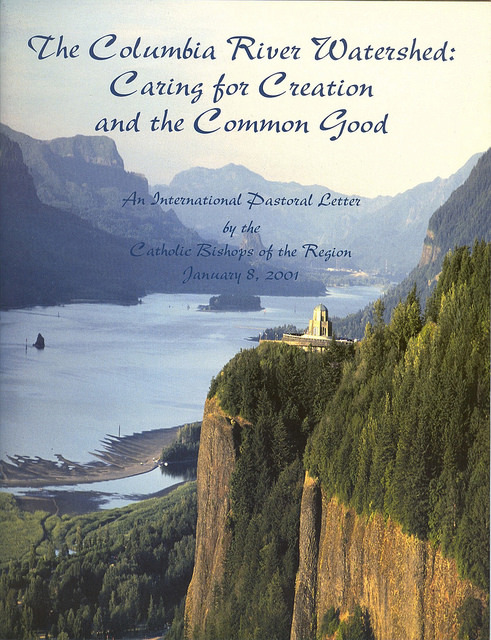 The Columbia River Pastoral Letter, issued by Northwest Catholic bishops in 2001, provides a foundation and framework for the conference series. This series is modeled on South Africa’s Truth and Reconciliation public dialogue in the wake of apartheid. This Revelstoke conference follows three in Spokane (2014), Portland (2015), and Boise (2016). The fifth conference will be held in western Montana in 2017. (for more, see Ethics and Treaty Project). Earlier conferences explored the profound effects of dams from Grand Coulee upstream on tribes and First Nations; how protecting flood plain settlement and development in the Portland area has come at the cost of permanently flooding river valleys and native homelands upstream; and re-licensing of Idaho Power Company’s Hells Canyon Complex of dams to provide passage for salmon now blocked from returning to the upper Snake River.